Pokémon White, along with Black, is the latest entry to the Pokémon series. 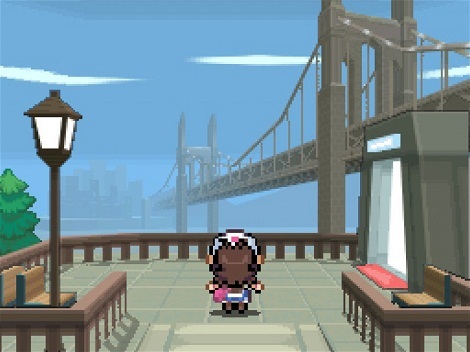 It introduces new characters, a new setting and 156 new Pokémon to catch, train and evolve. It starts out as any previous Pokémon game. You are summoned to a professor’s lab where you get to choose your very first Pokémon, either Oshawott, Snivy or Tepig, and then you set out to complete the Pokédex. You are joined by friends, Bianca and Cheran, who is also just starting their journey and they both have a part to play. Your main goal is to get the eight badges from the gym leaders spread throughout the Unova region and ultimately to beat the Elite Four. As you start your journey, you are soon confronted by an organisation who calls themselves Team Plasma. They are led by the villainous “N” whose dream it is to free Pokémon from the oppressive hold their trainers have over them. How will they do this? By summoning the legendary Pokémon (in White Reshiram, in Black Zekrom) responsible for creating the Unova region you live in. This Pokémon, however, will only awaken for the Hero. “N” deems himself this Hero. Summoning this Pokémon could destroy Unova region and you take it upon yourself to stop this from happening. Anyone who played Pokémon before will immediately be familiar with the gameplay. There is tall grass to walk around in, wild encounters, you catch Pokémon, you train Pokémon and there are trainers to fight as you go. 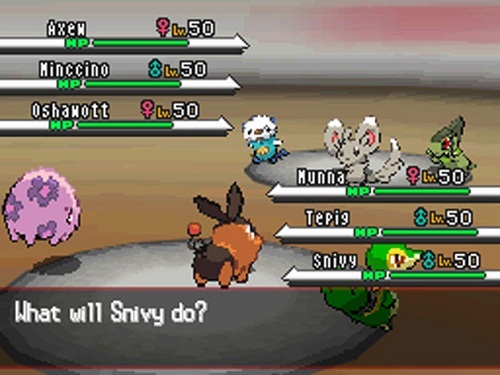 Newly introduced, however, are triple battles, where each trainer pits 3 Pokémon against each other. Seasons also come into play! When it is winter in South Africa it is winter in Unova. Some shops and items are only available during spring; some areas are inaccessible during winter and some Pokémon change colour depending on the season. The game looks amazing! The developer (Gamefreak) play around with camera angles, during spring petals blow around and in winter snow flakes cover your screen. Pokémon and character animations during battles look really good. Sadly you’ll get bored of them soon as they tend to make battles feel forever; luckily you can still turn them off in the options menu. Once you’ve completed the main plot you unlock new areas and are finally given access to all the previous Pokémon. Up to this point you only had access to the 156 new Pokémon, which is nice since it forces you to discover new strategies and finding new combinations of Pokémon that work. The game improves greatly on the multiplayer aspect of the games. You can challenge friends or go on Nintendo WiFi and challenge strangers from across the globe. You can trade Pokémon and sent notes to each other. Later on in the game you can even trade Pokémon with previous version of the game. People familiar with any previous Pokémon title might feel bored, if you are looking for something new and truly innovative you might want to steer clear. Anyone looking for more of the same with new faces, new items and a new adventure, this game is a must buy! Also, if you’re a Pokémon fan, you can’t go wrong. You simply gotta catch ‘em all! Improving on the old, bringing in some new and taking you on an adventure like never before, Pokémon White lets you have fun with Pokémon all over again!